1890? 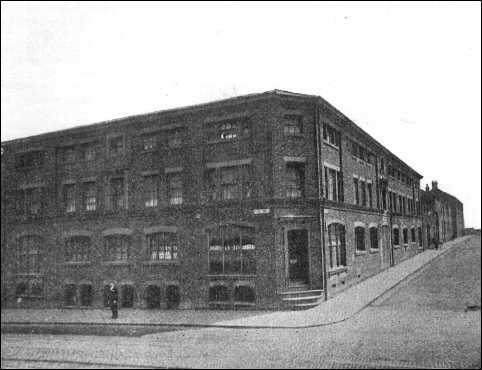 Elijah Cotton E. Cotton also owned the Nelson Pottery in Commercial Road, Hanley. Dates: The 1893 journal (see link below) says that Cotton 'quite recently acquired' - so for the moment we have plumped for 1890? Location: We know from the journal that the works were 'the large works opposite Shelton Church' and also previously occupied by John Adams and Adams and Bromley. Both Godden and Jewitt name the works as 'Victoria Works'. The 1898 OS map locates the Victoria Works on the corner of Victoria Road (now College Road) and Broad Street which is directly opposite St. Marks Church. Jewitt, however, says 'these works in St. James Street' - this street is off Broad Street but is someway away from the Victoria Square end of Broad Street and Shelton Church - so I think that Jewitt was mistaken in his location. corner of Broad Street and Victoria Road (now College Road).